of strength, the minimization of constructional elastic elongation, and a longer overall service life for the rope. 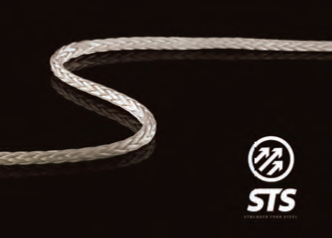 With STS, sailors have the option to use a rope with a smaller diameter without losing (and in most cases gaining) tensile strength. In addition, the ability to use smaller rope diameters without compromising on strength also reduces the overall weight of the line. Visit neropes.com for more information.